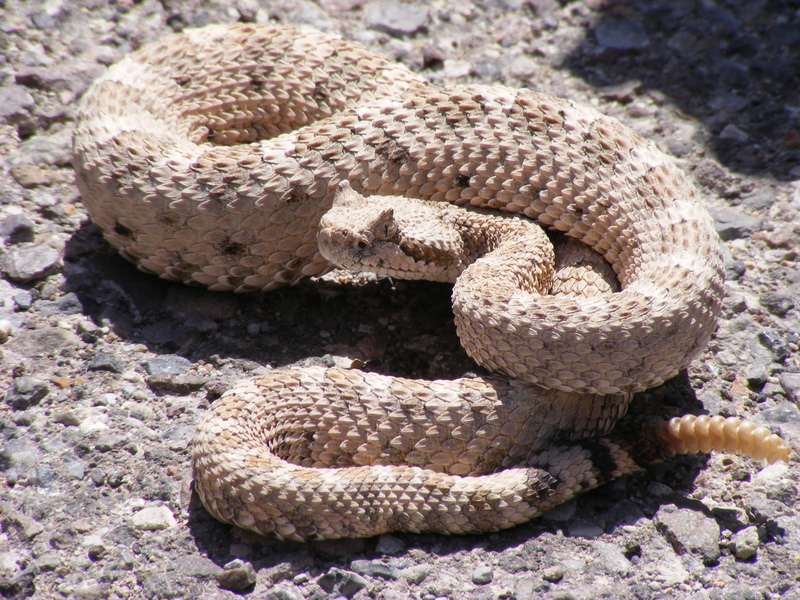 I love to travel, and so a few weeks ago I jumped at an opportunity to meet up with some old friends in the southwestern part of the United States. 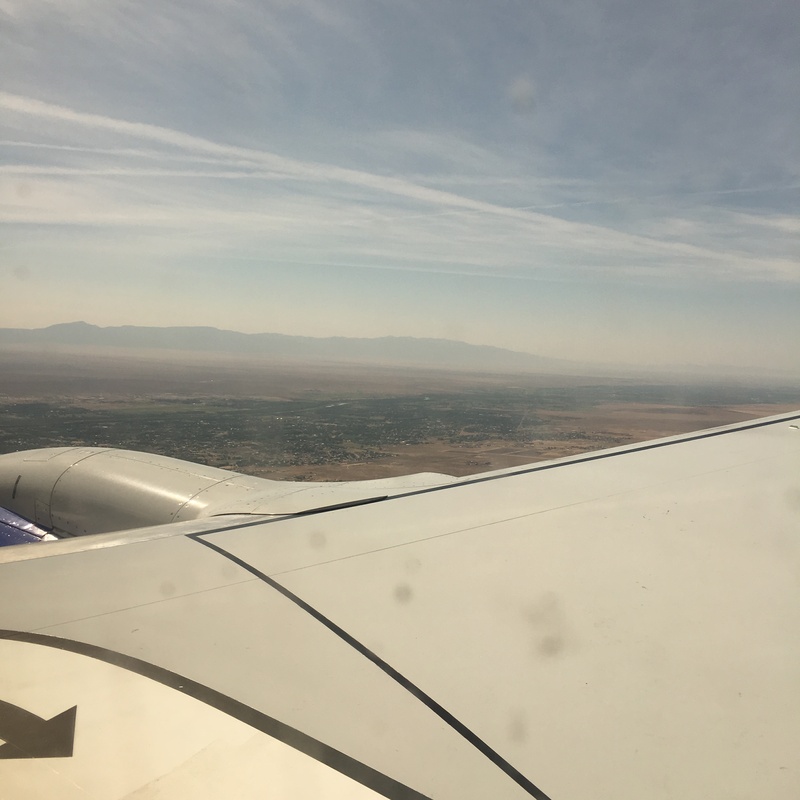 On June 6, I landed in Albuquerque, New Mexico; it was a beautiful sunny day, with just enough clouds to color the deep blue sky. On Friday morning June 8, we left Albuquerque and headed northwest on Hwy 550, our destination Chaco Canyon, a place of beauty and wonder, and a place filled with mystery and tragedy. Because we were the only vehicle on the road for miles, I snapped a few pictures along the way. I wasn’t going very fast the road was so rough, and at certain places along the way it was like driving on a washboard. So, I was actually going quite slow, at times 20 mph, and at other times, 2-3 miles per hour. From the main highway the 21 mile trip to the Canyon took approximately 45 minutes to an hour. When I snapped the pictures I didn’t notice anything in the sky, and it was only later that I realized my camera had captured something. Both pictures show several dark objects, and in my mind it was probably a bird. The strange thing is that you’d expect a bird to fly away, unless it was circling the area looking for a meal. Take a look and see what you make of it. In the first photo there are several objects, and in the second photo the object in on the right hand side of the picture. Maybe it was a bug on the windshield, or maybe it was just something else. More than that, I enjoyed my visit to Chaco Canyon, although in June the temperature in the High Desert of New Mexico can be extremely hot. The day I was there the temperature was in the high 90’s. Flying into Albuquerque I was amazed to see the Nazca Lines of New Mexico (just kidding of course)!!! The next photo is of Pueblo Bonito as I was walking to the site. Of course, the Ancient Alien crowd would like you to believe that ancient humans could not have done this on their own, or, they had help from “star gods,” ancient aliens from somewhere in the cosmos. Everything I see here, and from all that I’ve read about the religious beliefs of the ancient Puebloan, they had the amazing ability to construct everything here on their own. The site is fascinating, and there are other sites in the canyon as well, although because of the heat and my asthma, I wasn’t able to walk every site. Reading about the religion of the ancient Anasazi (Puebloan) I do not doubt that they were in some kind of spiritual contact with fallen angels (devils), which causes all kinds of problems on its own, such as the extreme rites of human sacrifice and cannibalism. But, if you listen to the History Channel’s Ancient Alien program, you would think that ancient man didn’t have the ability to do anything except watch ancient aliens build monuments and temples all over the world. Below is a photo of Fajada Butte, which stands just outside the southwestern rim of the canyon. At the top of the Butte you will see a large rock standing by itself, near the middle. Just to the right of that boulder are three large rocks, stacked side by side, that act as a calendar, marking the summer and winter solstice and both equinox. (You can read more about that here). And now a bit of revelation about UFO photos! The following photos of Fajada Butte were taken on my way into Chaco Canyon, one a bit further down the road course. Looking closely you will also see the same object I captured on earlier pictures, so obviously, I didn’t see a UFO. The object is something on the windshield, a spot, or, more than likely, an unlucky bug. Was the object a UFO, yes, at first, because it was unidentified, until now that is. Although, I can hear the alien crowd objecting, because obviously it followed us around, or something of that nature. The point is, we just need to be careful with UFO pictures, especially these days with technology at hand. Jeff Wingo, bidding you farewell for now from Chaco Canyon, New Mexico. Official Pentagon sources recently revealed the existence of a secret 22 million dollar program to investigate UFOs or “anomalous aerial vehicles.” The Advanced Aviation Threat Identification Program (AATIP), which ran from 2007 to 2012, was funded in part at the request of former senator, Harry Reid from Nevada. Bigelow Aerospace Advanced Space Studies, a Nevada based company owned by billionaire Robert Bigelow. I find that bit of information intriguing because in May 2017 Robert Bigelow gave an interview to Lara Logan from CBS program 60 Minutes, where he expressed his belief in UFOs. Logan: do you believe in aliens? Bigelow: I’m absolutely convinced, that’s all there is to it. Logan: Do you also believe that UFOs have come to Earth? Bigelow: There has been and is an existing presence, uh, an ET presence. Logan: Do you imagine in our space travels we will encounter other forms of intelligent life? Bigelow: You don’t have to go anywhere. Logan: You can find it here? Bigelow: It’s just right under peoples noses, oh my gosh, wow! The ranch in Utah owned by Robert Bigelow is the Sherman Ranch (if they are talking about the same ranch), better known as the Skinwalker Ranch, a well-known hot spot for UFOs and other strange paranormal activity. It is very revealing that an official from the Defense Intelligence Agency expressed desire to visit the ranch! I can only speculate why, but I do know that various groups in the Military Industrial Complex have studied paranormal activity for years, funding research into ESP, Remote-Viewing, and other psychic and occult abilities. It is noteworthy that someone from the DIA has openly expressed interest in the paranormal activity at the Skinwalker Ranch—and wants to know more! I also find it very remarkable that Raytheon, a major United States defense contractor, has an article on their company website bragging that their technology enabled the Navy to find and track a UAP (Unidentified Aerial Phenomenon, a UFO). Uh-oh, reminds of the Roswell incident in 1947—first they have a flying disk, the next day they back pedal and the flying disk turns into a weather balloon made from balsa wood sticks and scotch tape! As I have said on numerous occasions—anytime the military or related defense agencies get involved in the UFO issue, it is like entering a hall of mirrors—you never know what is true, and every time you think they are being truthful they take you and spin you around to face another mirror! And, on and on it goes. If you would like to know more about the alien deception get a copy of my book, ALIEN ANTICHRIST: THE TERRIFYING TRUTH ABOUT UFOs AND ALIENS, ANTICHRIST, AND THE END OF DAYS. At Amazon you can get the Kindle or print edition, and it’s also available through Kindle Unlimited as well. 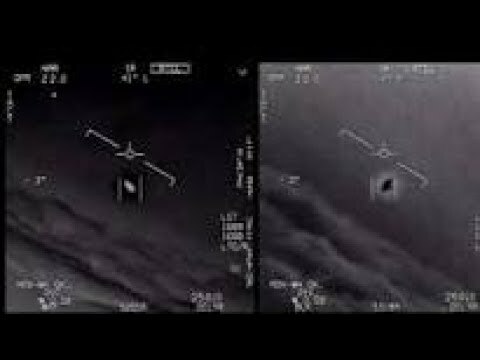 Have you seen the UFO video released by the Pentagon, yes, Pentagon? I searched for a decent version, and here is a video loop with pilot comments. I find it interesting that one pilot says there is a whole fleet of them, although the video shows only one UFO. If this is authentic (meaning, if it is not disinformation, and discredited at some future date to make the UFO community look foolish), it is fascinating to see and realize this IS part of ongoing alien disclosure from official sources. And, it is proof that the military still investigates UFOs. Psalm 68:17: The chariots of God are twenty thousand, even thousands of angels: the Lord is among them, as in Sinai, in the holy place. Although fallen, the being can still manifest its power over the physical laws of our dimension for the express purpose of deception. If you would like more information about the true nature of aliens and UFOs, consider getting a copy of my book, Alien Antichrist. The Strong Delusion is coming folks, get your Bible and read 2 Thessalonians chapter 2. On Amazon you can get the Kindle or print edition, and it’s also available through Kindle Unlimited as well. John 5:43: I am come in my Father’s name, and ye receive me not: if another shall come in his own name, him ye will receive. Revelation 12:9: And the great dragon was cast out, that old serpent, called the Devil, and Satan, which deceiveth the whole world: he was cast out into the earth, and his angels were cast out with him. In the past, when the satanic world Elite wanted to convey a message to the mass of humanity (usually their intent), they world conjure subtle images on popular media: music, commercials, TV shows, movies, etc. These days however, they openly proclaim their intentions, loudly speaking forth their message. In other words, they no longer hide their message, it is openly found in Super Bowl half-time shows and other media as they shout it from the rooftop for all the world to see and hear. The shape of the building is like the head of a serpent, with a flat nose, two windows (eyes) on each side, and a gradual widening of the structure toward the rear of the building. It is the interior of the building however, that reveals the full message. As you can clearly see, the interior of the building resembles a serpent with two eyes, scales, and fangs, it is just too obvious to deny. 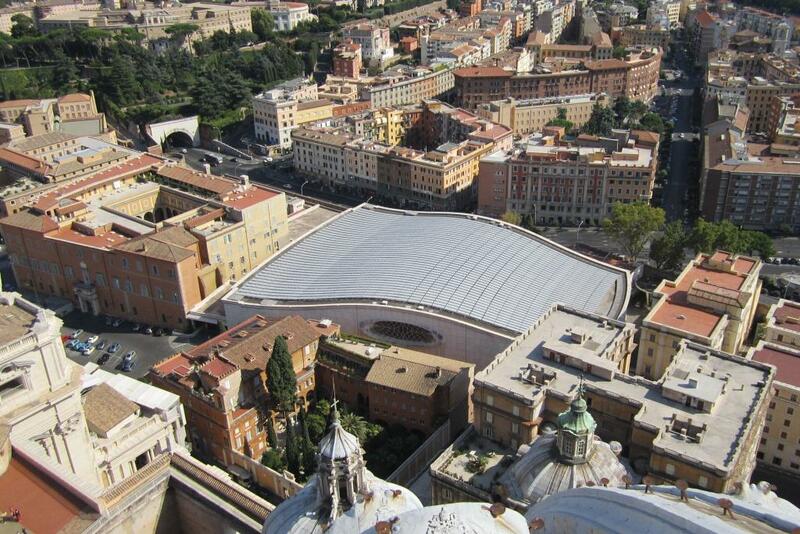 The building was constructed more than 46 years ago, and all this time has shouted out to the world the intent of its owner, the Vatican. This is not the biblical Jesus, but rather a depiction of the Beast rising out of the Abyss during the Tribulation. I am of the opinion they are using art to convey the message of an Alien Jesus: the Antichrist. Rev.9:11: And they had a king over them, which is the angel of the bottomless pit, whose name in the Hebrew tongue is Abaddon, but in the Greek tongue hath his name Apollyon. This is not “anti-Catholic”, I am not against the Roman Catholic people in any way. Nevertheless, should we deny that the leaders of the Roman Catholic Church teach many unbiblical doctrines, namely, the doctrine of salvation through works? It doesn’t get any more unbiblical (or alien) to the Bible than that? The Serpent still spews forth his heresy from many Churches today, whether its Roman Catholic, Methodist, Episcopal, Baptist, Charismatic, Pentecostal, Word-Faith, etc. Watch for your soul, read your Bible carefully, with prayer. This also plays into Alien Disclosure: When the Serpent reveals his “aliens” to the world, I believe the pope will welcome him with open arms and introduce him to the world as our new Alien Savior! 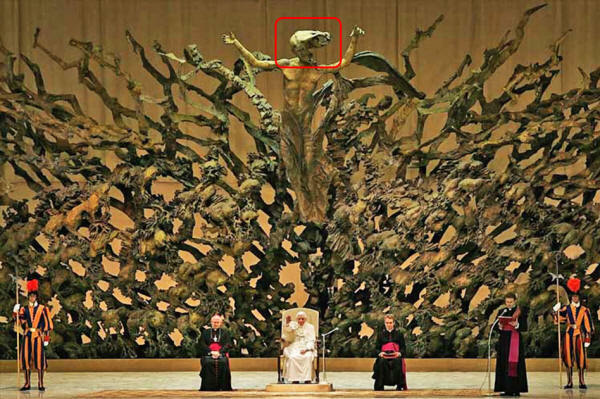 Perhaps the Serpent Dragon will hiss from the podium of the Paul VI Audience Hall in Vatican City, Italy! Here is a link to an article regarding this. Please use Christian discernment if you visit the website. While I find it interesting, I certainly do not endorse the material on this site in any way. Please note: I do not own these images, they are used under Fair Use for educational and discussion purposes only. The material I have in this blog is free, for your use. It is my hope that your eyes are opened in a biblical way, by the Word of God and the Holy Spirit, to see what is actually happening in the Last Days. While I do have a book for sale on Amazon, Alien Antichrist, the information on this site is free, and it is always free. The royalties from the book are nominal, and I use them to further this writing ministry, and the cost of the blog. My intent is to provide as much information as I can, while I am still here, so that when the Strong Delusion spreads throughout the world, you will have a biblically based resource at hand. One last thing before I go: if you are not a true Bible Christian you will succumb to the power of the Strong Delusion. As Jesus said, “Verily, verily, I say unto thee, Except a man be born again, he cannot see the kingdom of God” (John 3:4). I am working on a new book which details how the world will succumb to the spiritual power of the Strong Delusion (hopefully, released to the printer in the Spring of 2018). In the meantime, read 2 Thessalonians 2:11. Read the whole chapter, and do your own research in the Bible. One last warning: the Strong Delusion doesn’t come from the working of Satan, it comes from the hand of God. Unless you are a true Bible Christian, born-again by the Holy Spirit, you will yield to the inner working of the Strong Delusion. Several weeks ago on a Sunday evening I turned the TV on and the CBS program 60 Minutes was just starting. I wasn’t expecting a UFO themed segment, but it did surprise me to see an interview with aerospace entrepreneur Robert Bigelow. Robert Bigelow is the billionaire owner of Las Vegas-based Bigelow Aerospace, a development company with NASA contracts specializing in expandable spacecraft environments (as far as I know Bigelow is also the owner of the so-called Skinwalker Ranch in Utah, located in an area well-known for paranormal activity). As it turns out, the interview was intriguing, especially Bigelow’s admission of a belief in UFOs, and revealing that he has had his own “close encounters” with UFOs (he declined to give details). Interviewed by CBS correspondent Lara Logan, Bigelow admitted that he has known of the ET presence on Earth for years and doesn’t care what other people think. When I heard what he had to say I wasn’t surprised. The ET presence is real, at least that’s what the “ET’s” want us to believe. In truth, the aliens are not actually alien beings from other planets, but Fallen Angels manifesting in our dimension. They possess the ability to transcend time, space, and matter, to create an overwhelmingly powerful illusion to deceive humanity. In truth, the Beings manifesting in our skies as UFOs and aliens are not aliens in a traditional sense, but Fallen Angels, and they present themselves to our culture as advanced “aliens.” They use spiritual power to manipulate the human mind and time, space, and matter, to produce an illusion so overwhelmingly convincing, it can deceive anyone regardless of education or financial status. In my research of this topic I never cease to be amazed at the power of the deception, and I am of the opinion that as time goes by the illusion will grow stronger. The frightening aspect of all this is that the deception is so powerful even the most intelligent highly educated people among us will find themselves trapped in its deceptive fold. The problem is, most people will not see the deception, and they will not realize the influence it has on their belief system, it’s that compelling and persuasive. Jesus said the deception of the Last days before He returns would be so powerful that it’s possible even the elect, those saved or born-again, would be deceived. For false Christs and false prophets shall rise, and shall shew signs and wonders, to seduce, if it were possible, even the elect (Mark 13:22). What could be more compelling than “aliens,” manifesting on our planet with “high technology,” who claim they are our creators (and prove, through the science of genetic technology, that they are in fact related to us), and have the power to perform great miracles? In other words, they have the ability to manipulate matter in such a way that even men and women of science find themselves drawn into the deception; because the Fallen Ones will use spiritual power to manipulate the very elements of the Earth, and demonstrate a very sophisticated knowledge of physics. Mankind has always sought after the secret or special knowledge of God. All secret societies claim to have access to that “secret” knowledge. Is it possible the Fallen Ones will manifest on Earth, demonstrate a very high level of “science,” and then promise to provide our scientists access to that special knowledge? This has happened to us before. Thousands of years ago a powerful Being manifested on our planet and promised Adam and Eve the very same thing–access to the knowledge of God, or, as the Serpent said, “gods.” Will humanity “fall” once more? And the serpent said unto the woman, Ye shall not surely die: For God doth know that in the day ye eat thereof, then your eyes shall be opened, and ye shall be as gods, knowing good and evil (Gen. 3:4-5). I am currently working on a new book about this, so I do not want to give my thunder away too early. Nevertheless, I was perusing the news and saw an article on Sputnik International about alien signals from outer space: “SETI’s Largest Project Reveals That 11 Signals From Space May Point to Aliens.” Wow, finally SETI has located aliens! I wouldn’t be so quick to believe such a story, especially considering the source, so I went to hear the facts straight from the horse’s mouth, as they say. Breakthrough Initiatives is a project started by Russian billionaire, Yuri Milner in 2015 (with scientific input from cosmologist Stephen Hawking). Its goal, funded by Milner to the tune of 100 million dollars, is to search for intelligent extraterrestrial aliens (ETI). 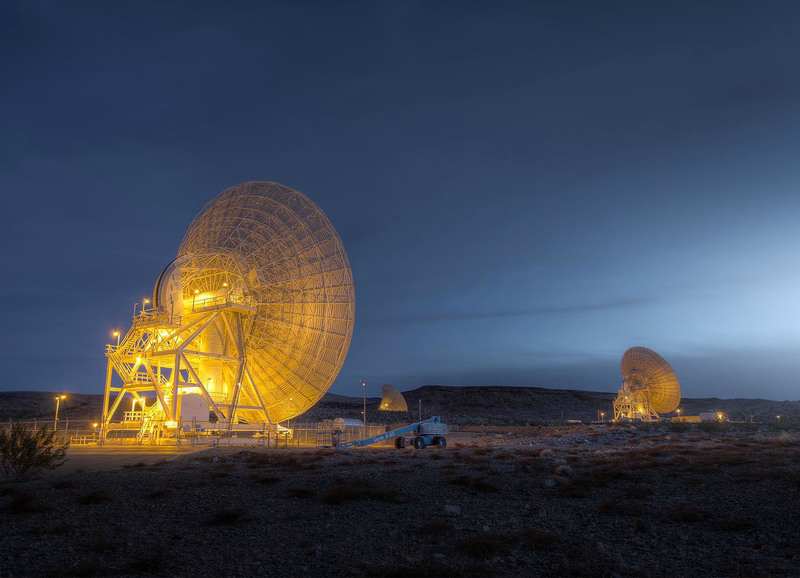 Breakthrough Listen, whose goal is to search over 1,000,000 stars for artificial radio or laser signals. Breakthrough Message, will create a message to send to listening ETIs. Breakthrough Starshot, which will develop a swarm of probes to send to the nearest star at 20% the speed of light. That is vastly different from the article on Sputnik, which seems to give the impression that the Breakthrough Listen project is on the verge of discovering real aliens. As most of you know, I believe one of the major End Time signs before the revelation of the Antichrist will be the discovery of an alien signal from outer space, indicating that scientists are on the cusp of communicating with an alien intelligence. I do not know where this signal may originate, although I have a few theories that I will discuss in the future. Think about this: is it possible for fallen angels to hijack human technology to perpetrate a fantastic deception? I believe it is, details will be forthcoming. It is my hope that most of you will consider the fact that alien contact, or, alien disclosure (from official sources), will signal to you the start of a very strong spiritual deception. As authentic UFO history testifies, this spiritual deception has the ability to deeply impact our physical reality. Thousands of credible witness have testified that UFOs are real, and have the ability to affect the natural environment in many ways. Even Jesus said that deception is one of the key indicators of the last days. I will discuss more of this in the future. 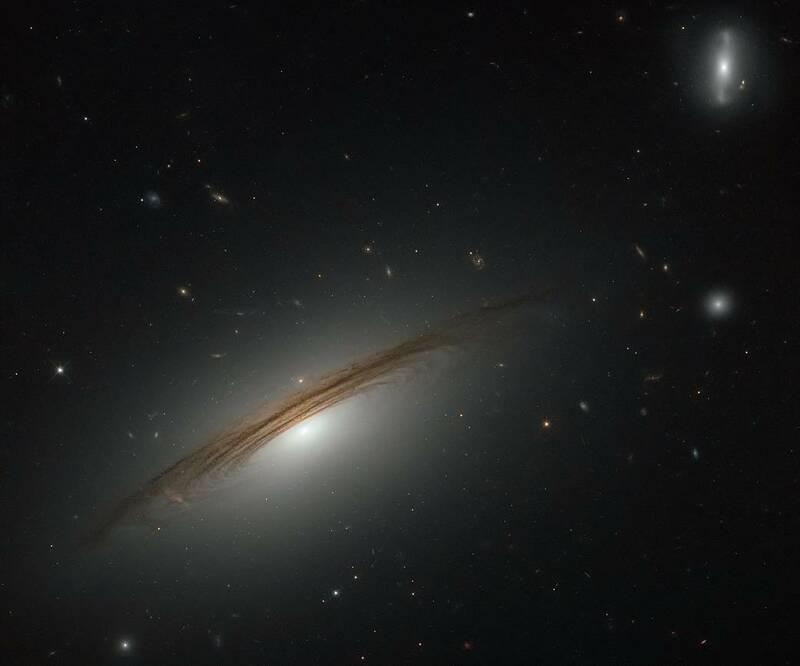 NASA/ESA Hubble Space Telescope image of Galaxy UGC 12591. I find it interesting that with NASA’s recent announcement of the discovery of the TRAPPIST-1 star system, people everywhere are talking about the “real” arrival, in other words, the sudden appearance of aliens, or official alien disclosure. I believe, because of the research I have done, that official alien disclosure will present a very dangerous deception to the entire world. What else could possibly unify the nations of the world other than “The Arrival” of an advanced interstellar civilization? Let me state again, official alien disclosure will present a very dangerous deception to the entire world. I read an article today in which Nick Pope, former official of Great Britain’s Ministry of Defense, said that his country has no contingency plan in place if aliens decide to invade Earth. He also stated that he believes if aliens do decide to show up on our doorstep that it will not turn out like the H.G. Wells story, War of the Worlds, but more like the recent Hollywood movie, The Arrival. I find it very interesting that Pope also said the arrival of advanced aliens will have a unifying effect on the nations of the world, and that every government on the planet will make an effort to acquire alien technology. I discuss all of that in my book Alien Antichrist–the possibility of an invasion by an advanced extraterrestrial civilization, and, that the nations of the world will scramble to acquire alien technology. Indeed, according the book of Revelation three alien invasions will occur! For your convenience , and so that you may study the issue for yourself, here are the three invasions in Bible prophecy. Revelation 12:7-9: And there was war in heaven: Michael and his angels fought against the dragon; and the dragon fought and his angels, And prevailed not; neither was their place found any more in heaven. And the great dragon was cast out, that old serpent, called the Devil, and Satan, which deceiveth the whole world: he was cast out into the earth, and his angels were cast out with him. Revelation 9: 1-11: And the fifth angel sounded, and I saw a star fall from heaven unto the earth: and to him was given the key of the bottomless pit (and verses following to verse 11). Revelation 9: 13-16: And the sixth angel sounded, and I heard a voice from the four horns of the golden altar which is before God, Saying to the sixth angel which had the trumpet, Loose the four angels which are bound in the great river Euphrates. And the four angels were loosed, which were prepared for an hour, and a day, and a month, and a year, for to slay the third part of men. And the number of the army of the horsemen were two hundred thousand thousand: and I heard the number of them. 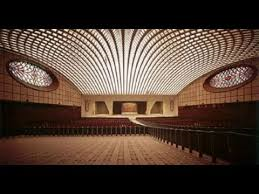 Because of my research I have come to believe that the Vatican will be at the forefront with information about an alien presence. For centuries the Vatican has acquired information such as manuscript evidence and possibly relics, which may link the aliens with Earth history. Indeed, the nations of the world will scramble to get their hands on alien technology, and part of this will include the manipulation of the human DNA with alien DNA. The greater part of the human race may end up genetically linked with an alien race! Is that the Mark of the Beast? On this video I comment about the recent podcast and several things I spoke about that a few people evidently misunderstood. Topics I discuss are the Book of Enoch, the anti-biblical doctrine of reincarnation, the TRAPPIST-1 star system, the vast distances found in the universe, and several biblical reasons why Earth is the only planet with intelligent life. I love astronomy, and so when I heard that NASA had discovered seven “Earth-like” planets orbiting a star I had to investigate. So, I went to Space.com, as they always seem to have the latest news. 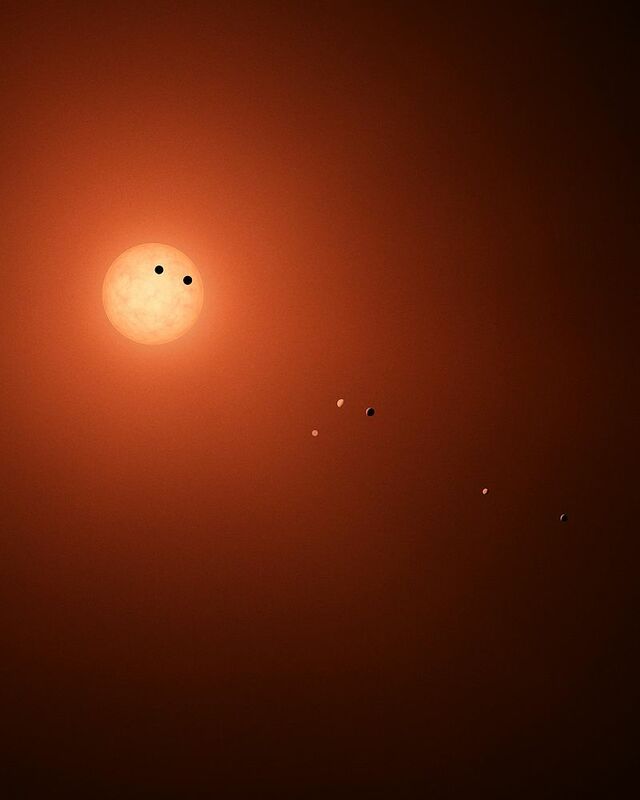 According to the article, “The exoplanets circle the star TRAPPIST-1, which lies just 39 light-years from Earth…”. As it turns out, each of the planets is tidally locked, meaning that one side always faces the host star, much like our moon, which is also tidally locked in its orbit with Earth. That might not bode too well for life, if it exists there, as the temperatures may vary too much. Unfortunately, the Trappist-1 star system is 39-40 light-years away from our sun, so obviously we will be unable to visit any time soon. And at 40 light-years away it would take us, with current technology, over 860, 000 years to get there. 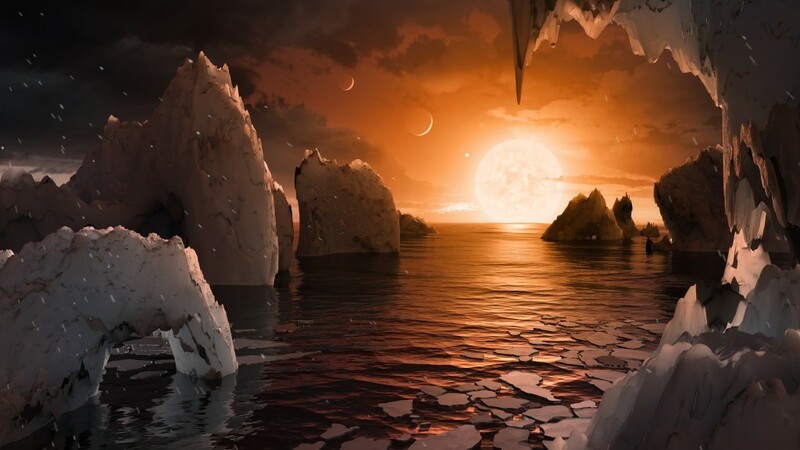 Artist’s illustration of the surface of a planet in the TRAPPIST-1 system, which hosts seven roughly Earth-size worlds. With all that said, NASA always seems to insist (or at least the reporting news media outlets do), that the planets are Earth-like, and they even include an artist’s conception of what the planets may look like, such as the picture on the left, provided by NASA/JPL-Caltech. My point is that NASA has not yet discovered alien life, yet the news reports portray the discovery as Earth-like, including water with an Earth-like environment, effectively planting the idea in the mind of the public that NASA has discovered alien life, which is not the case at all. I am of the opinion that Earth is the only planet in the universe with intelligent life, or any life at all, for that matter. In the coming days I am going to write an article or two on the biblical reasons why we are the only planet in the universe with life. 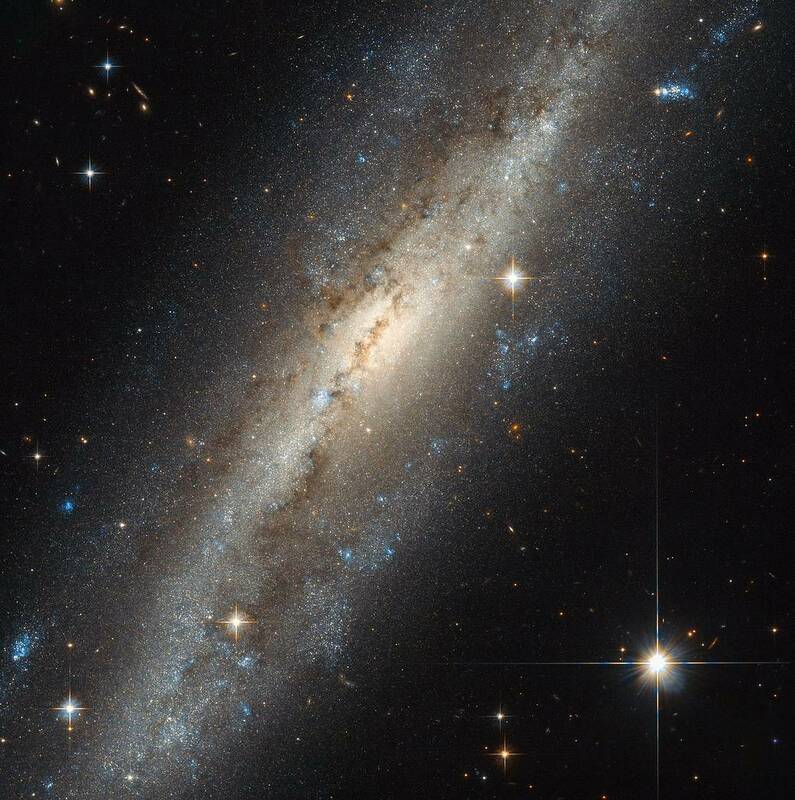 While I appreciate all of the hard work by NASA astronomers, and I have learned so much from them, I have to stay with a biblical worldview, which affirms our Creator, and His creation. As you know, most scientists believe in evolution, and so with a situation such as the discovery of seven planets in orbit around the Trappist-1 star system, they believe that it is possible that life may have evolved on one or more of the exoplanets orbiting Trappist-1. God didn’t pour out His love on Saturn, Pluto, or the seven exoplanets orbiting Trappist-1. He poured out His love on Earth. For God so loved the world–Earth! President Ronald Reagan, September 21, 1987. Is it possible that an “outside universal threat,” as suggested on many occasions by President Reagan, would cause humanity to unite as “one” to fend off an alien invasion? Perhaps, but, for the moment let us consider the greater possibility that a supernatural deception might not take on the air of a threat, but a peaceful uniting of humanity with an advanced alien civilization. In that case, the possibility of a threat to humanity may never arise as an issue, if the advanced Beings bring “gifts;” gifts such as the realization of a new understanding of physics for scientists to tinker with. All of the current scientific theories would melt away into the dawn of a new understanding of reality. What about healing for incurable disease through a new understanding of medicine using altered genetic material obtained from a superior race of “intergalactic” Beings? Please give consideration to the fact that official Alien Disclosure may not appear as a “threat,” but a blessing. In reality, we should also consider the possibility that world leaders may sell Alien Disclosure, and the revelation of the existence of an advanced alien civilization to the public, as the next step in human evolution–the inevitable merging of humanity with an interstellar community of Beings. The “maturing,” if you will, of the human race! As you know, smart advertising and media promotion can sell anything to the public; there are always plenty of people who will camp out for weeks for the latest electronic gadget, and, multitudes of people will wait for hours to catch just a fleeting glimpse of their favorite Hollywood Star–how much more will they willingly give for something more powerful! 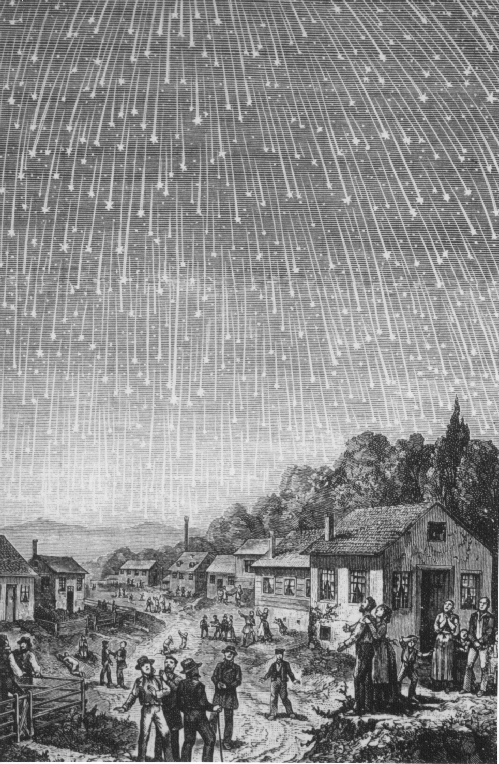 In light of that, what about the marketing of real “Stars,” alien beings from the heavens? At this point we should consider that, in light of the power of deception, the “Stars,” may in fact be actual living Beings, who claim their home is out there, in the far reaches of the cosmos! How would we know, for now, humans can’t travel beyond the moon? In every ancient culture the cosmology and subsequent mythology always seems to associate the “gods” with the stars and planets–the god Jupiter (Greek, Zeus), was linked with the planet of the same name, as was the Roman goddess Venus (Greek, Aphrodite), and the Roman war-god Mars (Greek, Ares). “When the morning stars sang together, and all the sons of God shouted for joy”? Is it possible the ancient mythologies drew from the knowledge that the Fallen Hosts were actual Beings who dwelt in the “heavens”? Is it also possible that the same Fallen Beings who appeared to ancient man, also appear today as UFOs and aliens? Would these same Beings, the Fallen Hosts of Heaven, cause the world to unite as one, not against a “universal threat,” as it were, but as grateful recipients of a new physics, a new method of medicine, and a new religion–the religion of the Beast? And they worshipped the dragon which gave power unto the beast: and they worshipped the beast, saying, Who is like unto the beast? who is able to make war with him? (Revelation 13:4). Statue of Asclepius, exhibited in the Museum of Epidaurus Theatre. Photo by Michael F. Mehnert, licensed under Creative Commons, Wikipedia. Never forget that the “Dragon” is a reptilian image, often worshiped in many ancient cultures (and still held in high veneration). 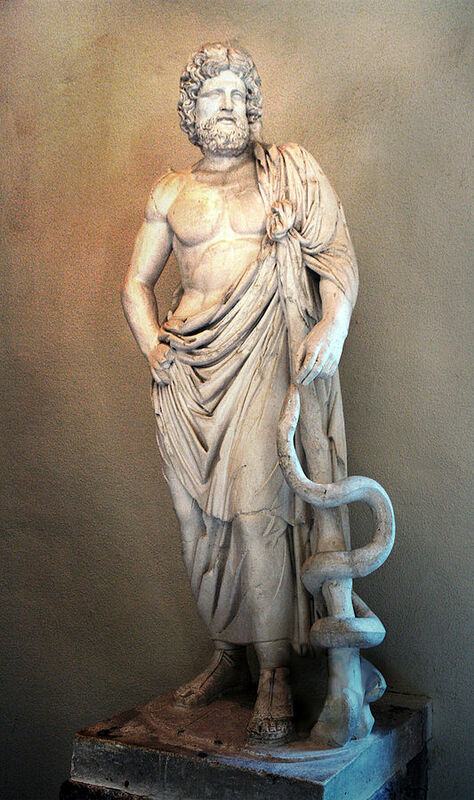 In Greece, Asclepius was seen as a god of healing, and is often pictured with a “healing” serpent wrapped around a pole or staff. The genetic tie-in with the Stars of Heaven is unmistakable. And by the way, according to the myths, Asclepius is the son of the Greek Apollo, the ancient destroyer god depicted in the book of Revelation as Apollyon, the Destroyer (Rev.9:11); and, as my book reveals, he is also the Alien Antichrist to come. Just something to consider. Thanks for visiting.